First Lady Michelle Obama took over primetime last night at the Democratic National Convention in Charlotte, NC, but a lot fewer people were watching than back in 2008. Like they had for the GOP convention last week in Tampa, ABC, NBC and CBS all broadcast an hour of the convention live, and they all had double-digit drops from the comparative night of the DNC on August 26, 2008. With Obama’s speech the big ticket on Day 1, it was NBC that won the night as it did last week at the RNC. The network was down 24% from 2008. ABC was down 36% from four years ago. And CBS took the biggest hit, with its coverage down 45% from the comparative night in 2008. 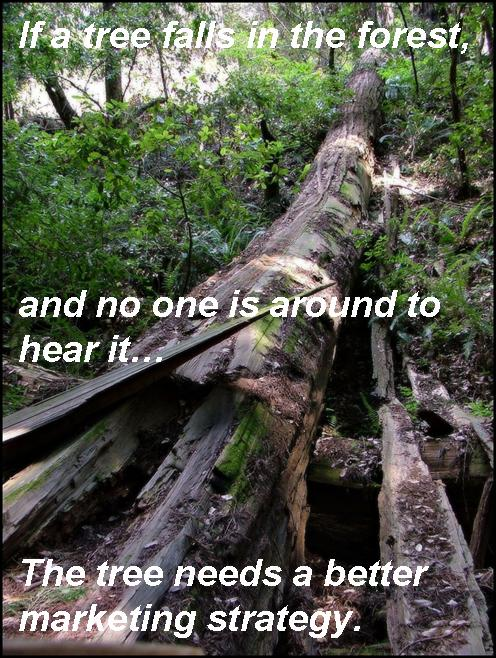 If a tree falls in the woods and no one is around to hear it. the tree needs a better marketing strategy. This entry was posted on September 6, 2012 at 6:41 am and is filed under Uncategorized. You can follow any responses to this entry through the RSS 2.0 feed. You can leave a response, or trackback from your own site.